Congressman Bera has previously urged the FDA to regulate the prices of life-saving drugs. On August 25th, 2016, Congressman Ami Bera, M.D. (CA-7) called on the Food and Drug Administration (FDA) to take immediate action to make lower cost alternatives available in response to exorbitantly priced EpiPens from the drug manufacturer Mylan. Currently, EpiPens have a virtual monopoly on the market for emergency allergy attack treatment. In the letter, Congressman Bera asks the FDA to address processes that may limit competition and allow some companies to drastically increase prices. Today, Mylan announced they would offer additional coupons for EpiPens, but have not addressed the underlying cost. 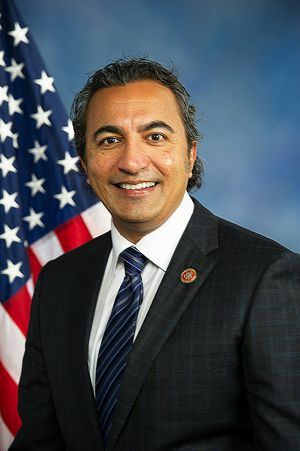 Congressman Bera has previously urged the FDA to regulate the prices of life-saving drugs. He leads the push to ensure that drug companies are not able to charge excessive prices for drugs, like in the case of Martin Shkreli and Turing Pharmaceuticals.